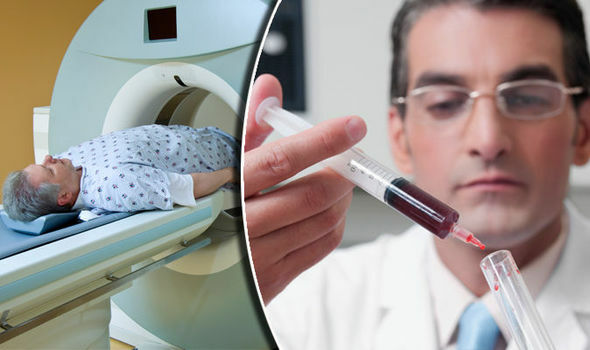 Scientists have developed a simple three-in-one blood test they believe could transform treatment of advanced prostate cancer, helping to extend or save lives. The test, developed by researchers at the Institute of Cancer Research (ICR) in London and the Royal Marsden NHS foundation trust, picks out men suitable for treatment with olaparib, part of a revolutionary class of drugs called “PARP-inhibitors”, which stops damaged cells from repairing themselves. The liquid biopsy, less invasive than a tissue biopsy, also detects early signs of resistance to olaparib and monitors the cancer’s evolution over time, according to the paper, published in Cancer Discovery on Monday. Prof Johann de Bono, Regius professor of cancer research at the ICR, and consultant medical oncologist at the Royal Marsden NHS foundation trust, said: “Our study identifies, for the first time, genetic changes that allow prostate cancer cells to become resistant to the precision medicine olaparib. “From these findings, we were able to develop a powerful, three-in-one test that could in future be used to help doctors select treatment, check whether it is working and monitor the cancer in the longer term. We think it could be used to make clinical decisions about whether a PARP-inhibitor is working within as little as four to eight weeks of starting therapy. By testing cancer DNA in the bloodstream, the researchers found they could pick out which men with advanced prostate cancer were likely to benefit from treatment with the drug. Thirdly, they used the test to monitor a patient’s blood throughout treatment to quickly pick up signs that the cancer was evolving genetically and might be becoming resistant to the drugs. The researchers collected blood samples from 49 men at the Royal Marsden with advanced prostate cancer enrolled in the phase II clinical trial of olaparib. The drug is effective at killing cancer cells that have errors in genes which would otherwise keep them healthy. Some patients respond to olaparib for years but in others the treatment can fail early or the cancer can evolve resistance. The ICR chief executive, Prof Paul Workman, said the test could “usher in a new era of precision medicine for prostate cancer”. The research was funded by the Prostate Cancer Foundation, Prostate Cancer UK, Movember, Cancer Research UK and the National Institute for Health Research.